I enjoy playing with what is possible when it comes to APIs, without all the overhead of actually operating the APIs. I’ve been exploring the world of drones over the last year and it is something that has inevitably collided with my API research, leaving me intrigued by what is possible with drone APIs, as I learn what existing drone providers are doing when it comes to APIs. Drones are the poster child for the Internet of Things. They collect video, take pictures, track location, and best of all–they fly!! Drones have APIs and consume APIs. You can deploy APIs in the cloud, on mobile devices and radio controllers, as well as on the drones themselves. Adding an entirely new dimension, you can also connect a variety of other IoT devices to the drones themselves, things like infrared and network detection, further pushing forward the possibilities. 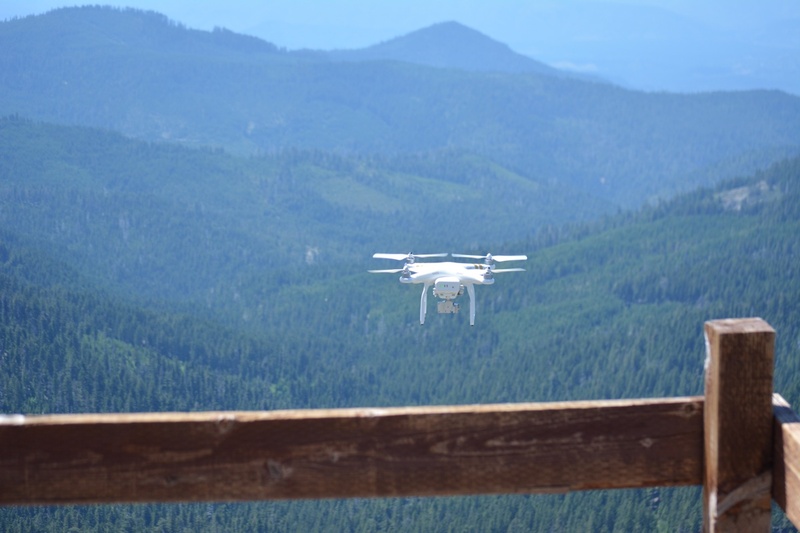 Drones represent the IoT opportunity–both good and bad. The fun stuff, and the really, really scary stuff. Like the rest of the API space, I am fascinated by drones and APIs, and I want to understand what all the providers are doing. I want to aggregate all of this knowledge as part of my API research and share what I learn as stories on API Evangelist, while I also play with ideas of what I would like to see emerge in the drone API space, without actually having to be responsible for making it happen–I needed a safe space I can play. I’m pushing forward my usage of Jekyll and Github to help me play with a new way to prototype APIs, mock their functionality, but also emulate the operations around the APIs. I created version 1.0 of my API Evangelist API prototyping toolkit, where I use Google Spreadsheets, Github, and Jekyll to emulate the definition, design, deployment, management, testing, monitoring, portal, discovery, and other stops along the API lifecycle. The approach allows me to quickly stand up an API, and begin walking through the technical, and even business aspects of API operations for my drone API idea, and other projects in the queue. I’m not sure where the Drone API prototype will go, or what’s next for my API prototyping process. I’ll keep exploring, and publish a working example that hopefully others can land on, and follow along in my exploration. I’ll operate this drone API prototype similar to how I’d operate an API, but instead of the API actually being the service, I’ll use the story of the API as the service. I guess, for now, it is API prototyping as a service–we’ll see what is next.